Documentary film which discusses quantum physics and the holographic nature of the universe, the illusion of reality, consciousness, and much more. In addition to its phantom like nature, such a universe would possess other rather startling features. If the apparent separateness of subatomic particles is illusory, it means that at a deeper level of reality all things in the universe are infinitely interconnected. The electrons in a carbon atom in the human brain are connected to the subatomic particles that comprise every salmon that swims, every heart that beats, and every star that shimmers in the sky. Everything interpenetrates everything, and although human nature may seek to categorize and pigeonhole and subdivide, the various phenomena of the universe, all apportionments are of necessity artificial and all of nature is ultimately a seamless web. In a holographic universe, even time and space could no longer be viewed as fundamentals. Because concepts such as location break down in a universe in which nothing is truly separate from anything else, time and three-dimensional space, like the images of the fish on the TV monitors, would also have to be viewed as projections of this deeper order. At its deeper level reality is a sort of super hologram in which the past, present, and future all exist simultaneously. This suggests that given the proper tools it might even be possible to someday reach into the super holographic level of reality and pluck out scenes from the long-forgotten past. What else the super hologram contains is an open-ended question. Allowing, for the sake of argument, that the super hologram is the matrix that has given birth to everything in our universe, at the very least it contains every subatomic particle that has been or will be -- every configuration of matter and energy that is possible, from snowflakes to quasars, from blue whales to gamma rays. It must be seen as a sort of cosmic storehouse of "All That Is." Although Bohm concedes that we have no way of knowing what else might lie hidden in the super hologram, he does venture to say that we have no reason to assume it does not contain more. Or as he puts it, perhaps the super holographic level of reality is a "mere stage" beyond which lies "an infinity of further development". Bohm is not the only researcher who has found evidence that the universe is a hologram. Working independently in the field of brain research, Standford neurophysiologist Karl Pribram has also become persuaded of the holographic nature of reality. The University Of Metaphysics is a non-secular private theological "New Thought" Metaphysical School offering Higher consciousness Education and religious degrees in "New Thought Metaphysics". 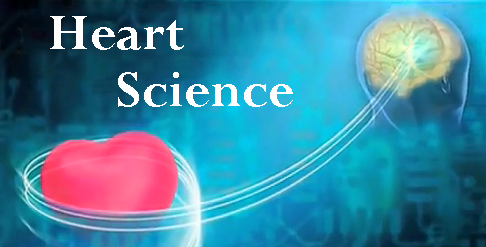 The science of the heart - various clips from videos talking about warm-heartedness, compassion, love and the science that connects the heart and mind. Episode of Max Igan's 'Surviving the Matrix' show which talks about the dark forces that are currently at work in the world, creating your reality, the nature of your thoughts and emotions, Consciousness, DNA, and reprogramming your brain. 2012: Tragedy, transcension or just another year? David Wilcock exposes many great secrets: DNA, consciousness science, wormholes, stargate travel, sacred geometry, three-dimensional time, the Mayan Calendar and much, much more! The human heart emits the strongest electromagnetic field in our body. Watch these information videos about the mind, body and spirit, love, compassion, dna, and the science that connects the heart and mind. 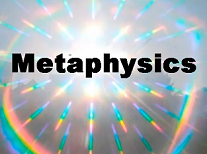 Learn about the history and role of metaphysics in our lives, and why metaphysics has become the new science of our time.